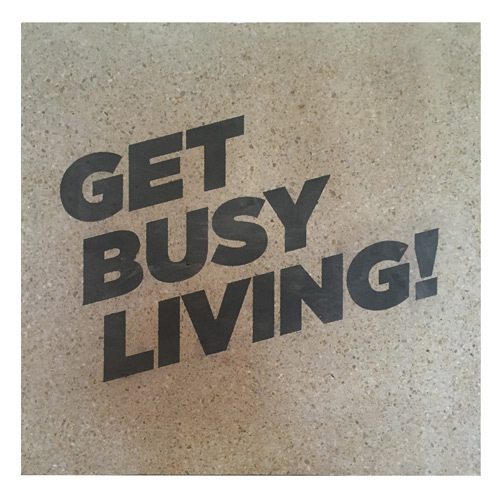 The Matt Hampson Foundation is pleased to offer you the opportunity to purchase your very own engraved paving flagstone for the new Get Busy Living Centre. Whether it’s for you, your family, friend or business. We’ve set aside an area around the perimeter of the building which will be dedicated to our supporters and the legacy pathway for the Matt Hampson Foundation Get Busy Living Centre. We have priced each legacy paving flagstone at £295 each (Size 600mmx600mm). The £1m project is being funded by the Foundation and donations from many of our corporate supporters. Whilst this represents a very healthy start, there is still a substantial sum needed to be raised to fit out the centre inside and out. Sponsoring a flagstone is just one way in which you can help us reach our goal!